It was the first IE Venture Day organized with the School of Architecture and Design. 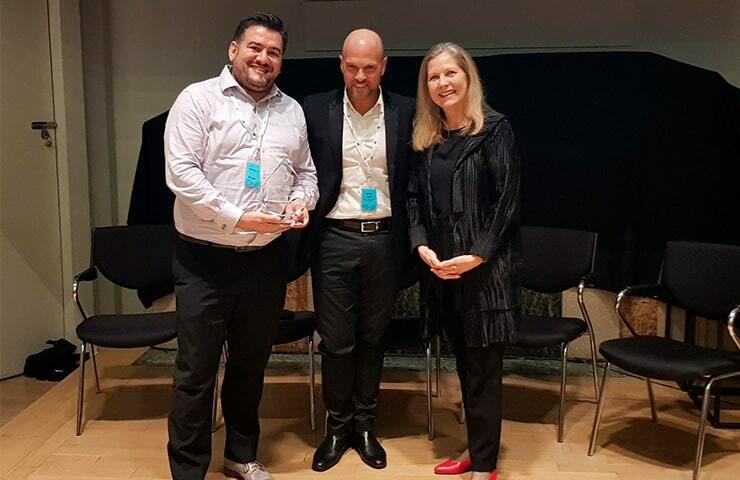 PTGEM, a startup that provides digital mapping solutions to enhance internet of things product developments, wins competition promoting ideas to solve housing needs of the future. Madrid, February 4, 2019. IE School of Architecture and Design and the IE Entrepreneurship & Innovation Center, together with the Singapore University of Technology and Design, held their first joint IE Venture Day in Singapore on January 31 under the theme “Housing of the Future”. The event took place in the National Design Center with the sponsorship of Roca Gallery, and the additional support of FlySpaces and Nexea. 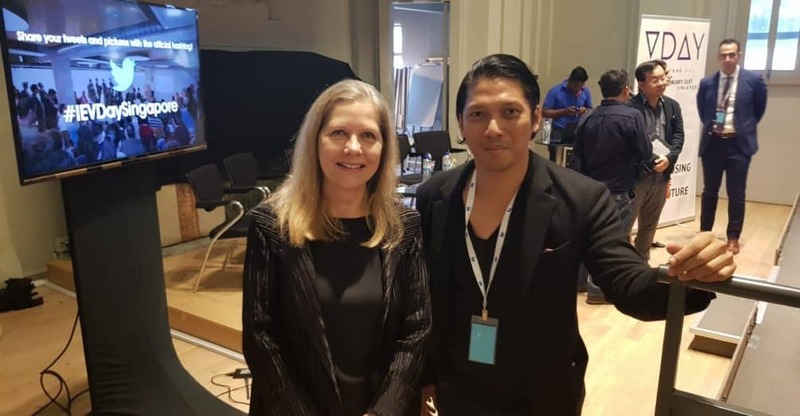 Among those attending the event were the dean of IE School of Architecture, Martha Thorne, along with Robbie Antonio, the founder of Revolution Precrafted, as well as Arthur Huang, founder of Miniwiz. Also present were some of IE’s most successful IE Alumni living and working in Southeast Asia, such as Jose Martos, the CEO of Saint-Gobain Indonesia, Mario Berta, the founder of FlySpaces, as well as the Secretary of the Spanish Chamber of Commerce in Singapore, Laura Martínez Sánchez. An unparalleled rise in urbanization has produced a global surge in demand for housing, sending prices soaring. At the same time as housing supply and affordability are key issues, we also have to consider how climate change is affecting the housing market, highlighting the need for sustainable construction practices. In addition, exploring opportunities for technological innovation in financing and building homes could open new avenues of support for buyers and tenants alike. So, what can be done? Dealing with such a complex issue requires a multifaceted approach and dialogue that involves both public and private stakeholders. But most of all, we need ideas. Responding to this need, IE Entrepreneurship & Innovation Center and IE School of Architecture and Design decided to hold a Venture Day in Singapore focused on start-ups dedicated to making the housing of the future more plentiful, affordable and beneficial to all. The result: more than 40 startups from the region presented their projects. “The finalists were incredible. Very diverse. Great ideas from technology to finance, to sustainability, to trying to solve housing problems,” said Martha Thorne after the event. Nacho Mateo, Chief of Investor Relations, Entrepreneurship & Innovation Center at IE, hailed the success of the Singapore Venture Day as the best possible start to the year, highlighting the high level of the startups that participated in the competition: “They put all their energy into preparing their pitch, and their evolution after the training sessions we gave them had a major impact on their final presentation,” he said. PTGEM, the start-up competition winner, was awarded a trip to come to pitch in South Summit, one of the leading entrepreneurial events of the year, which for the first time this year, will have a track on BuiltTech, as well as a scholarship for the High Impact Online Programs of its choice. IE Entrepreneurship Center plans to hold more than 15 events of this caliber over the course of 2019.